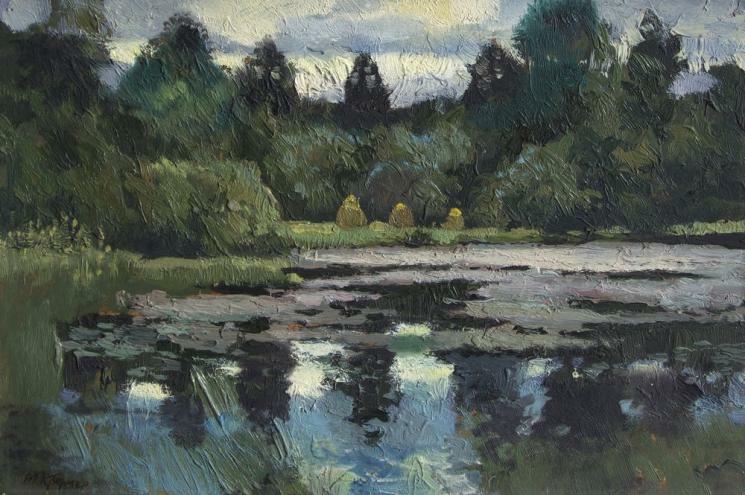 &#65279;This sketch shows a summer pond. Evening. Around the old pond there are thick thickets of forest. At the very edge of a small glade is a stack of mown grass. The pond was covered with round sheets of lilies and tall reeds. The blue sky, covered with clouds, is reflected in the watery surface. The sketch was made in 1979 by the Russian artist Mark Kremer in the open air in Karelia..